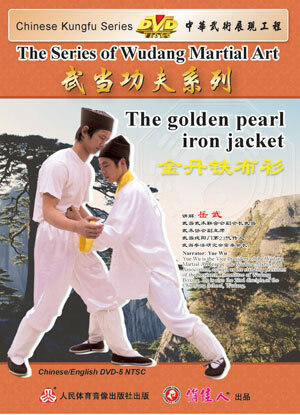 The Golden Pearl Iron Jacket is taught by Liu Li-hang, the great master of Wudang pure positive faction. It divides into two parts: pure positive element and golden pearl lie down element. It is taught secretly one to one inside the faction but not seen in the outside world. So it is said as the secret place of the martial skill. You can save the strength to preserve your health by practicing this, and also resist the enemy to protect yourself. Practice this in a long run you can protect yourself from violence and get stronger and benefit human beings. This is call “warm and cold iron jacket” in all corners of the country and “the golden pearl iron jacket” inside the faction.